There have been some insightful comments on this blog and over on the Facebook page for my book about introversion and creativity. I am convinced that one of the gifts that introverts bring to the church is creativity, and I think there's more to it than just the fact that we enjoy time to ourselves, which lends itself towards music and art and writing. There is something about a rich interior life that sparks the imagination and fuels the creative process. I want to talk more about this, and therefore I enlisted the help of songwriter and musician, and radio talent, Natalie Nicole Gilbert. You can find information about her, a discography, and some videos of her in concert over on her website. And yes, she wrote a song in tribute to Carlisle Cullen, the vampire patriarch of the Twilight series (and I'm a little embarrassed that I didn't have to look up who he was). Adam: You're pretty vocal (on twitter anyway) about your introversion and seem pretty comfortable with your temperament. Has this always been the case? If so, why? If not, how have you found this level of peace with your introversion? Natalie: Since I grew up with a *very* extroverted mother (also a performer), I didn't really have the opportunity to discover I was an introvert until my 20's. Mom always introduced me to EVERYone she knew, showing me off like a picture in her wallet. It frustrated me to no end, but I thought it was because of our 40 year age difference, or the way her friends would dote on me and ask me all the silly kid questions upon introduction (ie. What's your favorite school subject? Do you play piano like your mother? How old are you now?) Once I took the Myers Briggs and got that beloved 'I' at the front of my results, I was able to look back at how draining all those social situations had been and say 'Oooooh. That's why.' 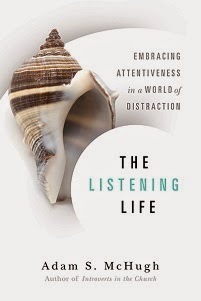 I wish I'd taken the assessment as a child so I could have better verbalized that I needed more alone time. While I still would've had to attend those Mother's Day banquets, at least I could have singled out the other introverts and huddled with them in the corner. I find now that openly stating I'm an introvert keeps friends and acquaintances in the know. If they get to know me one on one, working on a project especially, it's easy for people to think I'm an extrovert. Mentioning that I'm an introvert helps them understand why I'm slower to return phone calls, may wait until the 3rd invite to show up at parties, and generally don't indulge in small talk. I've also found it's even an asset at networking events to put my introversion on the table. Inevitably, there are other introverts in the room who also find it draining to be there, though they know they should attend, and we can find relief together connecting and empowering one another. Adam: Is it your experience that introverts thrive in music and the arts? Do you encounter more introverts than extroverts? Natalie: In my experience, it depends greatly on their genre or audience. I find that many introverts wind up in the singer/songwriter genre, where their pensiveness and perception yield much reception with their thoughtful and perceptive audience. I also find that introverts who thrive with much alone time may find it easier to devote themselves to long hours of research, composition, and/or practice that might seem more draining for extroverts who need more constant interaction with people. So, the more 'sensational' artists that enjoy the sequins and spotlights are more likely to be extroverts, while the introverts are more likely to be the guys and gals in jeans who make relevant conversation between songs. Adam: How do you think your introversion factors into the creative process? Is it simply that, as an introvert, you work well in solitude, or is there a deeper link between introversion and creativity? Natalie: On a deeper level, I think it's also that creativity and music have become a best friend. Because we're pickier about our lifelong friends than extroverts, it's also possible that we regard more of our habits and belongings as friends. If I'm going through some dark night of the soul and I'm only getting voicemail when I reach out to a few friends, I'm given to turning to my art for respite. That relationship makes it more of a sanctuary, and may also give me some opportunities to create or express with music what I might never verbalize in conversations. The piano always listens, and I always listen back. Adam: What is the hardest part about being an introverted artist? Natalie: For me, the hardest part is that many assume that because I'm an artist I'm thirsty for any spotlight or opportunity for fame. For the introverted artist, this couldn't be farther from the truth. (Perhaps it's also not true of the extroverted segment, but I can only speak from my side of the fence.) I enjoy meaningful opportunities to perform, but large audience numbers or high amounts of attention are a deterrent to me, not an attraction. I'm a pro, and I grew up performing, so performing for 14,000 for me isn't daunting or nerve wracking, but neither is it something I seek out - because the numbers, to me, don't reflect success or impact *necessarily*. I'd rather have a strong impact on 200 or 2,000 fans than a profitable but empty impact on 20,000. Adam: How can churches encourage artists and musicians (especially introverted ones) to cultivate their gifts, both for their own sake and for the sake of Christ's body? Natalie: Approach us. Engage with us. Give us opportunities to teach as well as perform. Invite us to host a group for other writers. 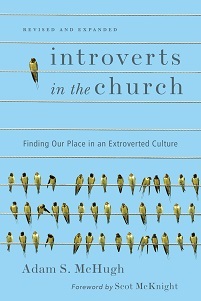 We may never think to offer or may not know you'd find benefit in such, but when I've served at churches that opened the door to collaborative or educational artistic experiences, the introverts were always given a place and a voice to let their talents and their hearts be known, and ultimately, to cultivate and hone those talents to reinvest in the church that invested in them.